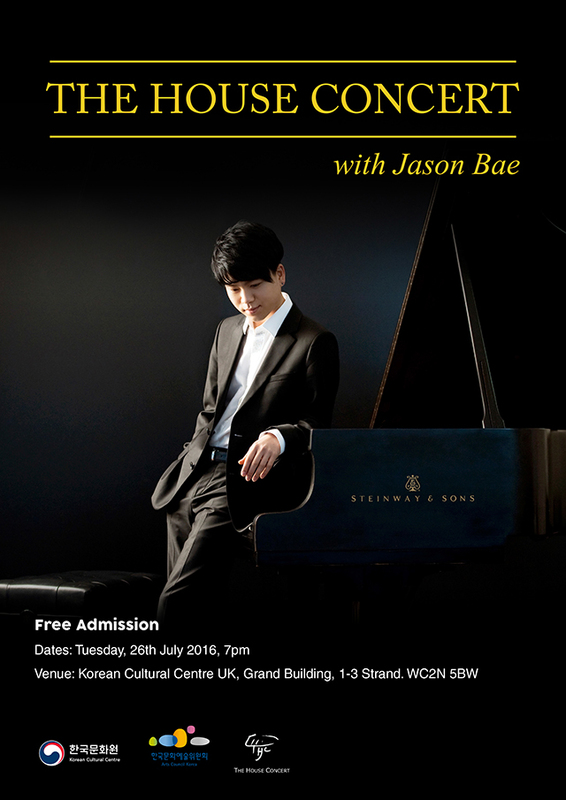 New Zealand pianist, Jason Bae was born in Daejeon, South Korea in 1991 where he began studying piano at the age of five. At the age of twelve, he made his concerto debut with Auckland Symphony Orchestra and a year later, he became the youngest concerto soloist to perform with Auckland Philharmonia Orchestra. Since then, Jason has performed as a concerto soloist with New Zealand National Youth Symphony, Queensland Symphony Orchestra of Australia, Auckland Youth Symphony, Christchurch Symphony as well as giving recitals throughout in U.K, U.S.A, France, Indonesia, South Korea, Australia and New Zealand. Jason was awarded 1st Prize in the 2008 Bradshaw & Buono International Piano Competition in New York, which led to a performance at the Carnegie Hall in Weill Recital Hall. In the same year, he won the New Zealand Young Performer of the Year. In 2009, he won 2nd prize at the Lev Vlassenko International Piano Competition in Brisbane, Australia. In 2013, he was the Grand 1st Prize Winner of the New Zealand Inaugural Wallace National Piano Competition. In 2012, Jason presented his sold-out debut piano recital at Auckland Town Hall. In the 2015-16 season, Jason will be giving recital at Steinway Hall in London, St. Mary Magdalene Church in London, The Quarry Theatre in St. Luke’s in Bedford, 11 piano recitals around New Zealand as an artist of 2015 Chamber Music New Zealand Encompass Tour and Cosmos Hall in Seoul for the New Zealand Festival. Also, he will be performing Beethoven Piano Concerto No.5 with Bach Musica in Auckland Town Hall and with Bay of Plenty Symphonia in Tauranga, New Zealand. His debut CD ‘Marylebone’ with Austrian Gramophone was released on September last year. Jason received his Master of Arts in piano performance with the highest distinction award, DipRAM at the Royal Academy of Music in London under the tutelage of Christopher Elton and Joanna MacGregor in 2015. Jason also studied at the Aspen Music Festival and School with Ann Schein and John O’Conor from 2007 to 2013. Jason is the first New Zealander to become the Young Steinway Artist since 2012. He is an artist of ‘Talent Unlimited’ in London since 2014. This year, Jason has been appointed as a School of Music Visiting Fellow at University of Auckland. Korean Times is a British publication, affiliated with the UKFC (United Korean Fan Club) and sponsored by The East Foundation. The East Foundation is a registered charity (1142886) in the UK. Our charitable objects are to promote, maintain, improve and advance education for the public in the arts and culture of Korea, in particular but not exclusively the arts of drama, mime, dance, singing and music.